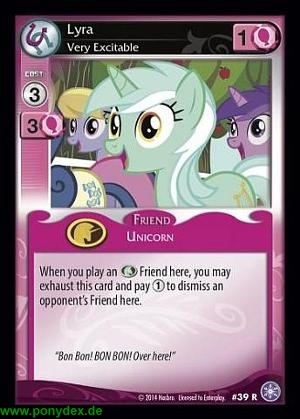 When you play an Earth Pony Friend here, you may exhaust this card and pay 1 action token to dismiss an opponent's Friend here. "Bon Bon! BON BON! Over here!"